Posted March 31, 2016 by Steven Roberts & filed under Panopea generosa. 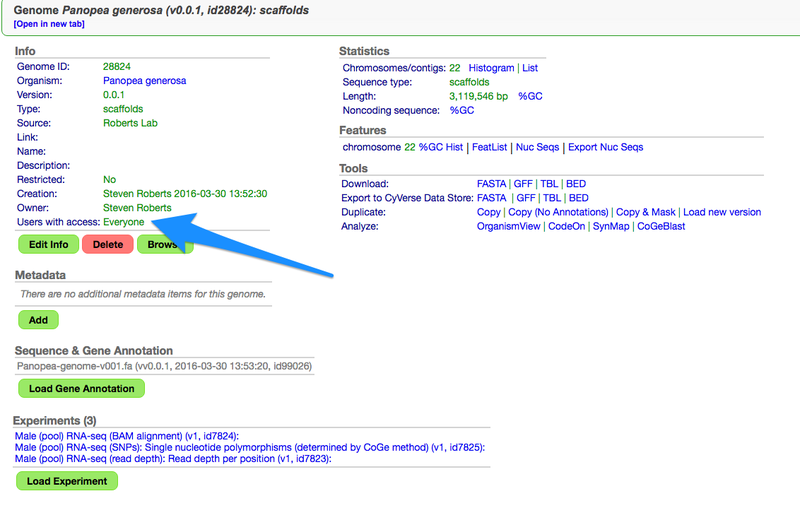 Yesterday I uploaded v0.0.1 of the Geoduck genome to CoGe. Now I want to start adding tracks. 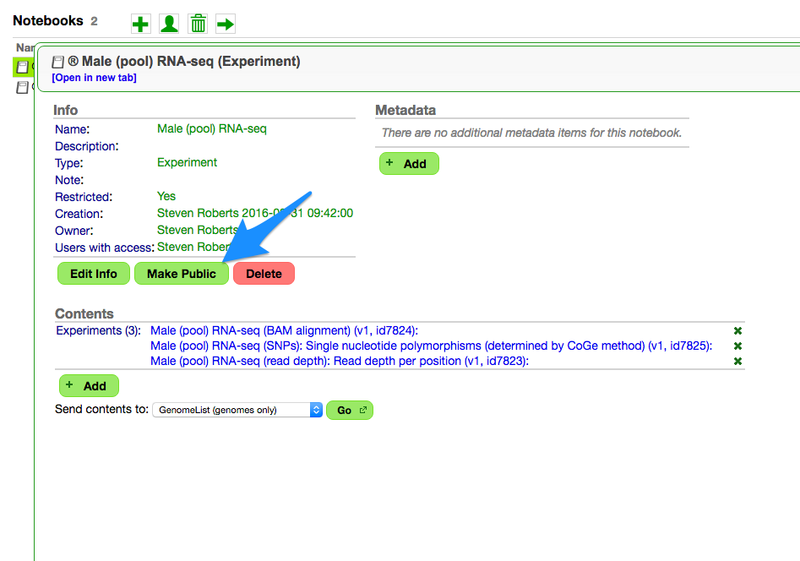 To do this I used CLC to create RNA-seq tracks from our male and female gonad transcriptome data. 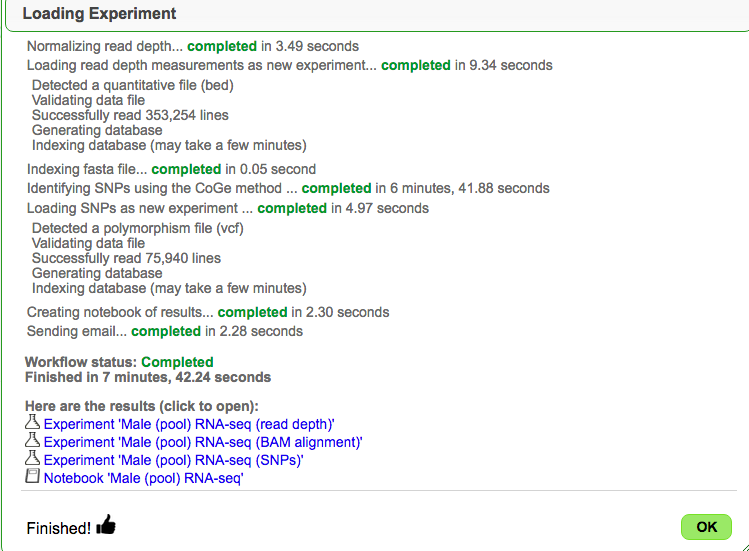 As would be expected only a small amount of reads mapped. 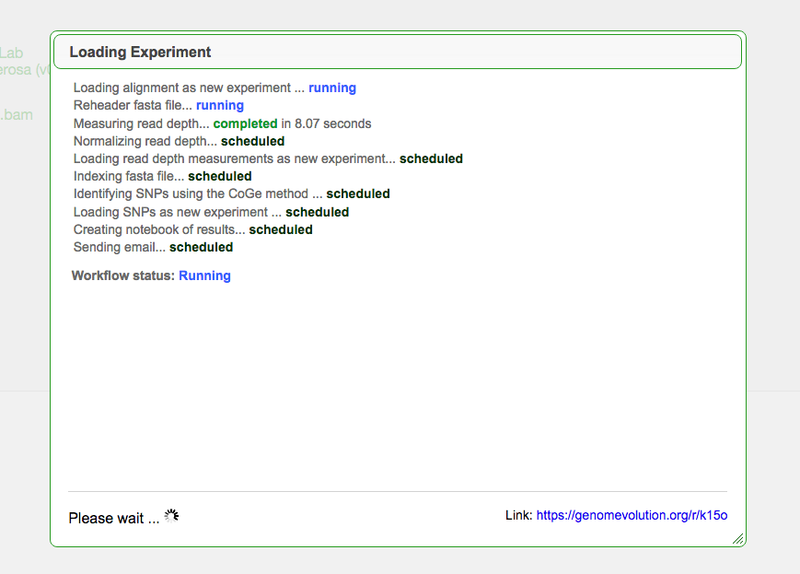 This is as we are limiting the genome to the 22 scaffolds with length > 100k. One thing to point out (and will have to be followed up on) is that many more Female reads mapped back. 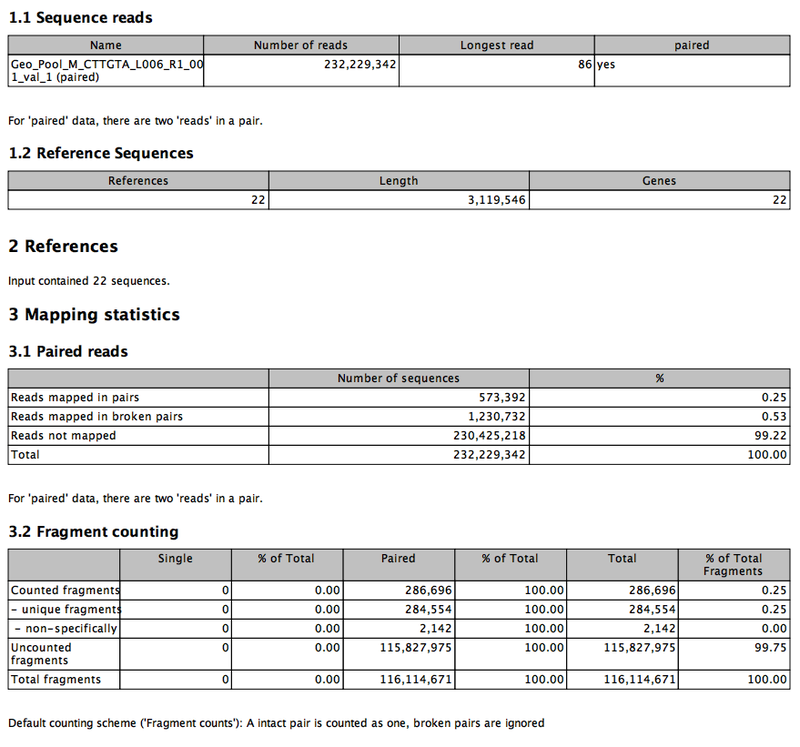 I took the Reads data and exported to BAM. I called this Version 1, and interestingly I got some cool options.. so I selected them. This included saving as a Notebook. This was Finished in less than 5 minutes! 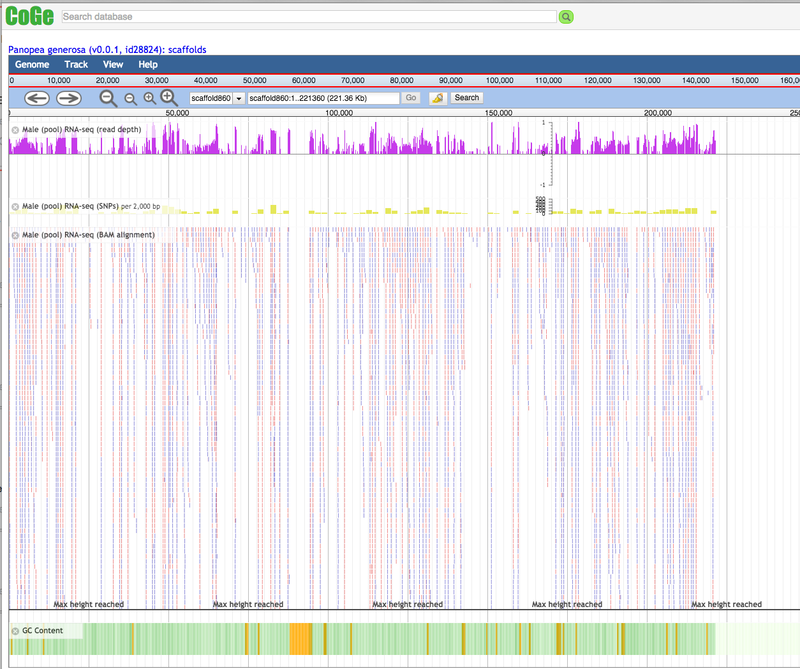 Voila – we have it in a Browser. 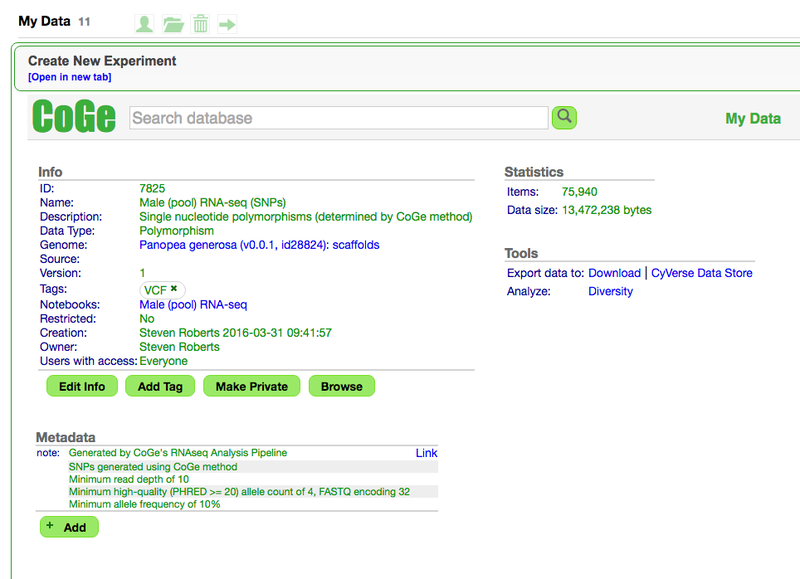 It is now public, though not quite sure if there is a url. Everything is public so please give it a look / twirl.